Tags: Baraat, Deep Red, Heavy, Lehenga, Peach. Deep red beautifully embroidered straight shirt having mehndi green and rust appliqued border. Kora, dabka, naqshi, sequnce, tilla and stones used in embellishment work. 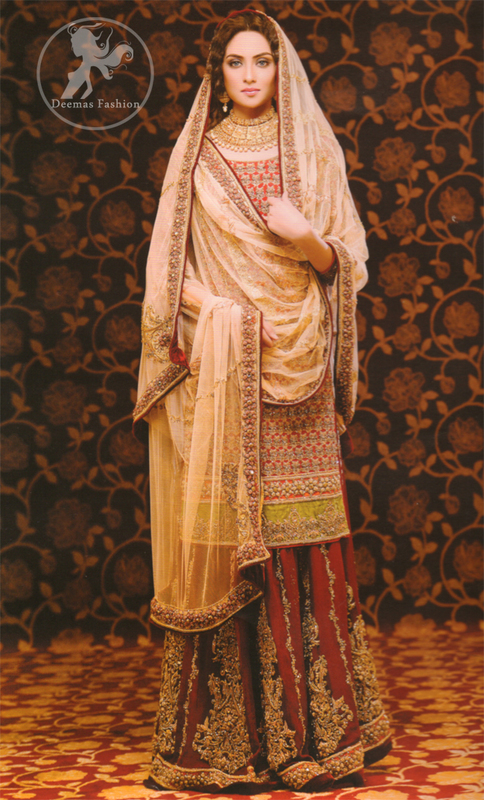 Pale peach net dupatta having embroidered borders and fished with red finishing.